When people talk about Michelin star restaurants in Spain, they are generally referring to three-star eateries, including three in the Basque city of San Sebastian. Michelin awards stars to many restaurants worldwide each year, but it is the three-star locations that capture the imagination. As of fall 2017, Spain has seven three-star Michelin restaurants. Read on to learn about each, including information on their locations, offerings and philosophies. Located near Barcelona, El Celler de Can Roca is the work of three brothers: Josep, Jordi and Joan Roca. The restaurant offers three menus, with either three, five, or nine dishes and a spectacular wine cellar. The brothers' passion for cooking was initially kindled in Can Roca, the establishment that their parents manage in Taialà, a neighborhood lying on the outskirts of Girona. And it shows: El Celler de Can Roca is consistently listed among the world's 50 best restaurants and was twice ranked number one in the world. One of three three-star restaurants in San Sebastian, Akelarre has two set menus and one a la carte. Its dishes include roast lobster ​and egg and caviar with cauliflower puree. Overlooking the panoramic Bay of Biscay, the restaurant is led by the head of the kitchen Pedro Subijana, whose has guided the eatery with diligence and artistry since he began working at Akelarre in 1975. Juan Ramon Arzak, whose restaurant is located just outside of San Sabastian, was born into a restaurant-owning family. He started out roasting meat over charcoal before developing his own style of Basque cuisine with the assistance of equally renowned Maite Espina. Martin Berasategui's dishes include red mullet edible crystals rockfish with saffron, liquid black olive bonbon and roast pigeon with marrow, potatoes and arugula lettuce. This is the third San Sebastian restaurant on this list. Indeed the Basque city of San Sebastian has more Michelin-star restaurants per capita than any other city in the world. 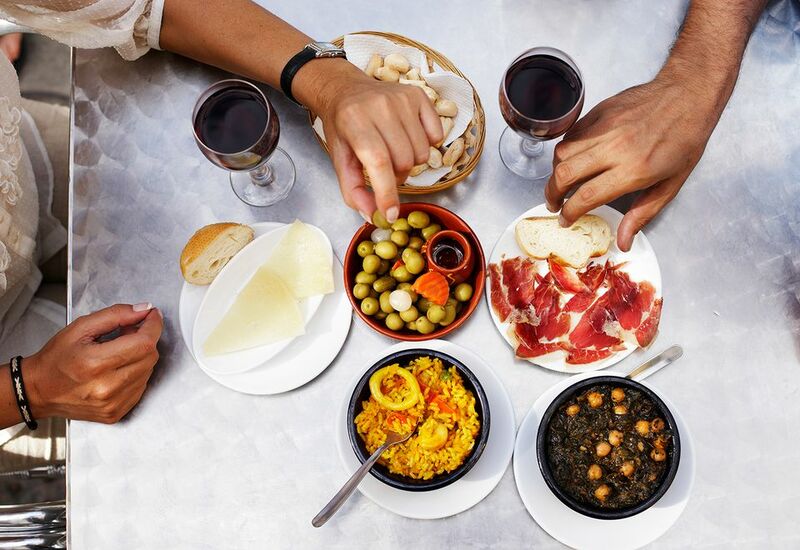 This Catalan restaurant includes a "'micro menu" of tapas as well as the main menu featuring a freeze-dried sausage and ham dish. Lead chef Carme Ruscalleda says she and her staff base their dishes on the philosophy of del cap al plat —"from head to the plate"—inspired by the "produce, sea and culture" of the Maresme, a picturesque region along the Catalan coast. "Not only is the restaurant made with environmentally friendly materials, it also recycles its own waste, harvests rainfall and cools itself using geothermal energy." Denia, a beach resort in the east of Spain, isn't normally associated with Michelin-quality food, but the eponymous owner/chef of this restaurant got his third star in 2012. "We now wish to embody and constantly delve into lost ingredients and forgotten flavors," says Quique Dacosta, who is considered one of the leaders of avant-garde cuisine in Spain.